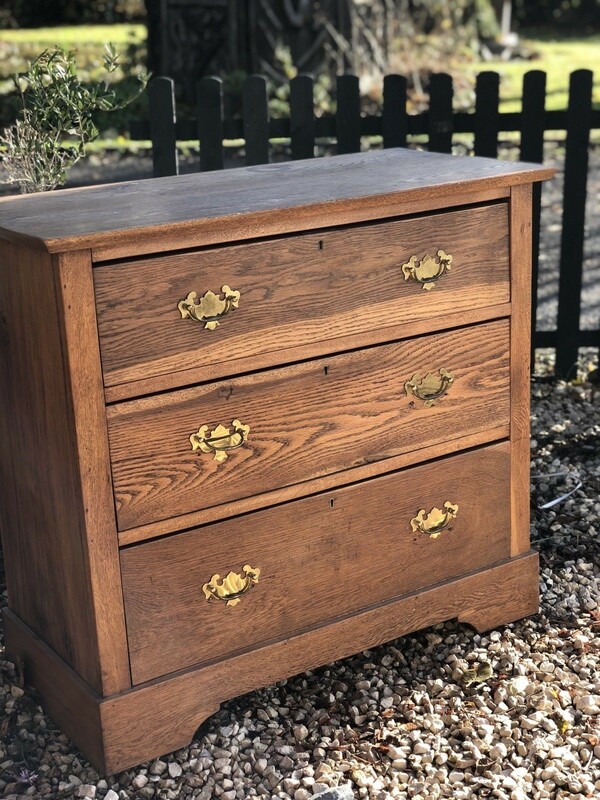 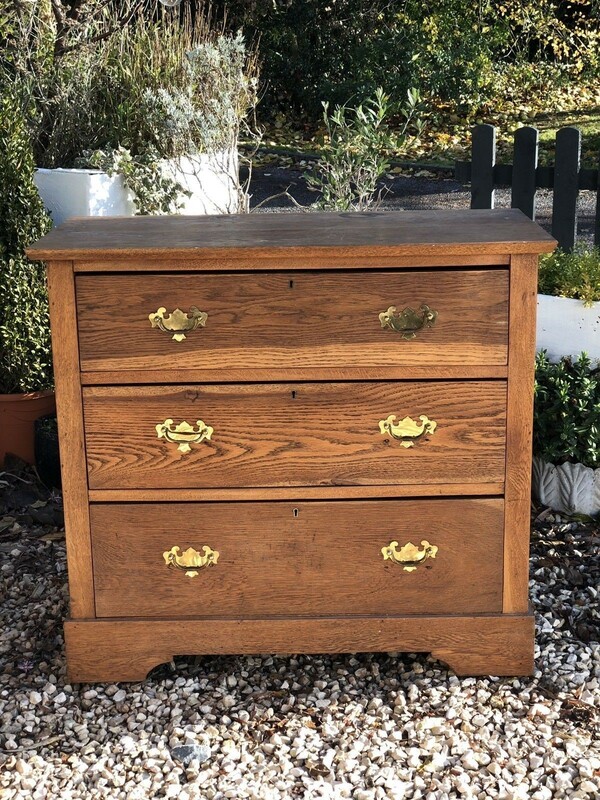 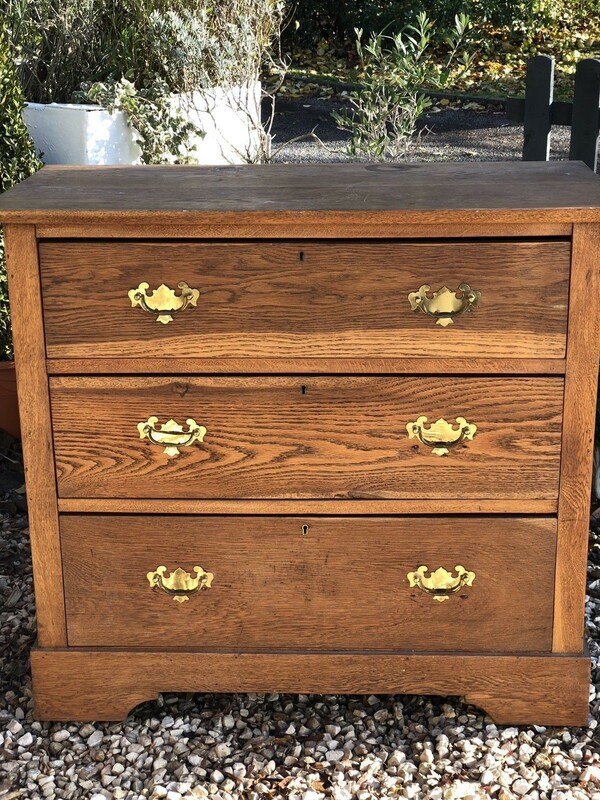 Elm chest of drawers. 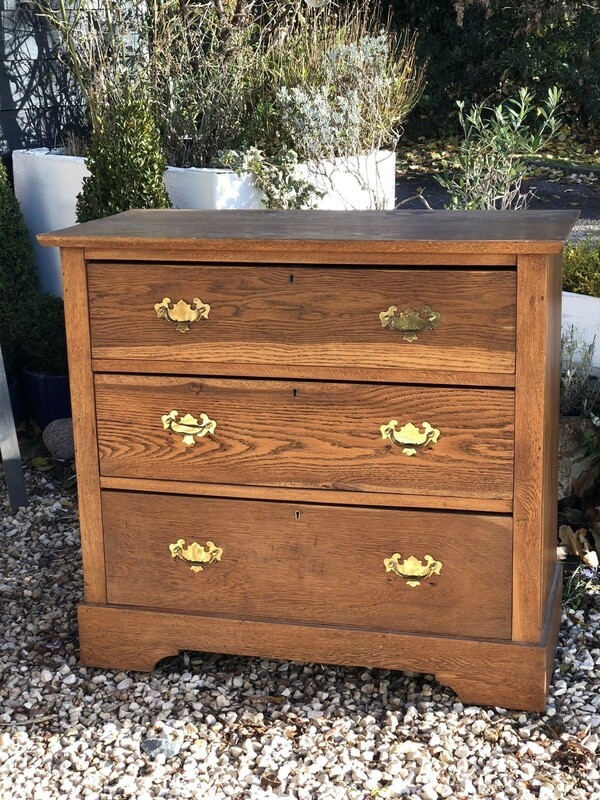 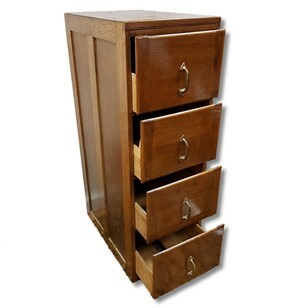 A super antique chest of three drawers in elm. 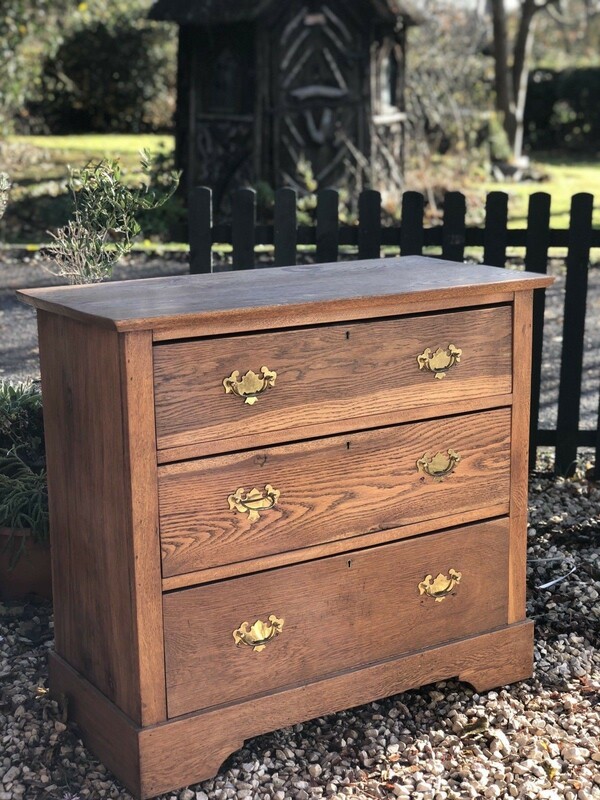 Very nice quality in a good colour The handles are 20 th century but in keeping with the style In good condition some marks to the top.